NPE CEO Sean Greeley believes all problems are leadership problems. 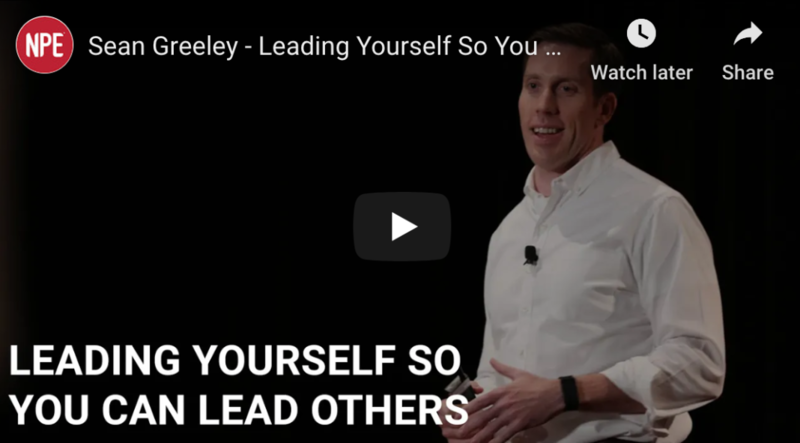 In this keynote address, he shares his insights into the self-awareness necessary to lead yourself and how that’s the foundation required before you can lead anyone else. Hear him explain how fitness business owners need to consistently work on developing their leadership skill sets, both for leading ourselves and leading others, because they will inevitably get stuck somewhere and — developing leadership skills will get them “unstuck”.